There is a new way to pay your bankruptcy payment to the Topeka chapter 13 trustee. Jan Hamilton Trustee has contracted with TFS Bill Pay so you may send money to the trustee electronically. This is a service through a third party. It involves a fee for handling the money and there is a short delay for payments to transfer from your account to TFS Bill Pay and on to the trustee. TFS Bill Pay costs 99 cents for a payment up to $100, which is cheaper than a 59 cent money order at the local grocery store plus a 46 cent stamps, not counting your time or gas money. The cost for a payment $101 to $250 is $1.99. This service is voluntary. You may still pay by wage order, which is the preferred method, or by check mailed to Jan Hamilton Trustee, PO Box 2159, Topeka, KS 66601, or placed in the drop box at 507 SW Jackson, Topeka, KS. No cash is accepted. TFS Bill Pay may only be used to pay Jan Hamilton and trustees in other states who have contacted with the service. The other chapter 13 trustees in Kansas City, KS, and Wichita do not use this service. Payments to William H. Griffin, Trustee, in Kansas City, KS, chapter 13 cases must be paid to PO Box 613106, Memphis, TN 38101. He does not accept payments at his Overland Park office. Payments to Laurie Williams, Trustee, in Wichita, KS, chapter 13 cases must be paid to PO Box 2818 Wichita KS 67201-2818. Washington, DC â€“ The Federal Housing Finance Agency (FHFA) today announced that Fannie Mae and Freddie Mac will offer a new, simplified loan modification initiative to minimize losses and to help troubled borrowers avoid foreclosure and stay in their homes. Beginning July 1, servicers will be required to offer eligible borrowers who are at least 90 days delinquent on their mortgage an easy way to lower their monthly payments and modify their mortgage without requiring financial or hardship documentation. The program is available to those homeowners with loans owned or guaranteed by Fannie Mae or Freddie Mac.Â Click on these links to see if your loan is ownedÂ or guaranteed by Fannie Mae or Freddie Mac. New median income data for bankruptcy cases filed on or afterÂ April 1, 2013, has been released by the U.S. Trustee Program. For cases filed on or after April 1, 2013, add $8,100 for each individual in excess of 4. Click here to see the median income table. Click here for information on means testing from the Executive Office of the U.S. Trustee. We have two updates for you in the ongoing fight in Kansas for the right to keep one year’s worth of earned income tax credit in bankruptcy. Earlier this month, the Bankruptcy Appellate Panel affirmed the Topeka bankruptcy judge’s ruling that the debtors could keep their EITC. Â On February 13, 2013, the bankruptcy trustee appealed that decision to the 10th Circuit Court of Appeals in Denver.Â Williamson v. Westby (In re Westby),Â BAP No. KS 12-027 (10thÂ Cir. BAP, Feb. 4, 2013). The trustee claims the new Kansas statute protecting the EITC is unconstitutional because it applies only in bankruptcy and not to debtors outside of bankruptcy. She seeks turnover of the money to pay trustee fees and creditors claims. An important legal development occurred this week that affects the Westby case. Â The Supreme Court of the United States declined to hear an appeal of a lower court ruling that Michigan’s bankruptcy specific exemption is constitutional. Richardson v. Schafer (In re Shafer), 689 F.3d 601 (6th Cir. 2012), petitionÂ for cert. denied (U.S. Feb. 19, 2013) (No. 12-643). The Michigan homestead allowance for bankruptcy debtors ($30,000 orÂ $45,000 if over 65 or disabled) is substantially higher than the Michigan generalÂ homestead exemption ($3,500). Compare Mich. Comp. Laws Â§ 600.5451(1)(n)Â with Mich. Comp. Laws Â§ 600.6023(1)(h) (West 2012).Â The Sixth Circuit Court of Appeals rejected the argument that having different exemptions in bankruptcy that outside of bankruptcy is unconstitutional. It saidÂ Michiganâ€™s higher homestead exemption for debtors in bankruptcy â€œactuallyÂ furthers, rather than frustrates, [the] national bankruptcy policyâ€ of providingÂ debtors with a fresh start. The Kansas bankruptcy trustee is making the same argument that Richardson made against Schafer and lost. A West Virginia trustee lost a similar argument against Peveich in bankruptcy court and appeals inÂ Sheehan v. Peveich, 574 F.3d 248 (4th Cir. 2009). Debtors Westby will urge the 10th Circuit to adopt the precedent of the 4th and 6th Circuits so they may keep their much-needed earned income tax credit. It will probably be months before a decision is announced. We’ll keep you posted. The new Kansas exemption law allowing a person to keep one year of earned income tax credit in bankruptcy is constitutional, a third court has ruled. This is good news for lower income working families with children who received EITC and who are struggling to make ends meet. The Bankruptcy Appellate Panel for the Tenth Circuit affirmed the opinion of Judge Janice Miller Karlin of the Topeka Bankruptcy Court inÂ Williamson v. Westby (In re Westby), BAP No. KS 12-027 (10th Cir. BAP, Feb. 4, 2013). Judge Robert E. Nugent also has found the Kansas statute to be constitutional. Â His decision in the Wichita Bankruptcy Court has been appealed to the Kansas District Court. Those appeals are pending. Congratulations to our friend and colleague, Cynthia Norton, who was sworn in today as U.S. Bankruptcy Judge for the Western District of Missouri. She is pictured here with U.S. District Court Chief Judge Fernando J. Gaitan, Jr., who administered the oath of office to her, and her husband, George Norton. She will preside over bankruptcy proceedings in Kansas City, St. Joseph, Jefferson City and Springfield, MO. She was appointed to the position by the U.S. Court of Appeals for the Eighth Circuit following the retirement of the Hon. Jerry W. Venters. A public investiture ceremony is planned for April. After graduating from the University of Kansas Law School in 1984, Judge Norton clerked for Kansas Court of Appeals Judge John E. Rees. Her career in bankruptcy law began as law clerk for the Hon. 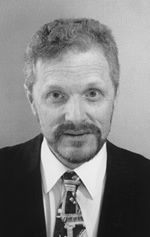 James A. Pusateri for the Kansas Bankruptcy Court in TopekaÂ 1986-1989. She worked in several Kansas City bankruptcy firms, then formed a boutique bankruptcy firm,Â Grimes and Rebein, LC, of Lenexa, with her partner, Steve Rebein, in 1996. She practiced law under her professional name, Cynthia Frogley Grimes. She is a fellow in the American College of Bankruptcy and a recipient of theÂ 2002 Michael R. Roser Award for Excellence in Bankruptcy. She is the 2012 recipient of theÂ Robert L. Gernon Award for Outstanding Service to Continuing Legal Education in Kansas, recognizing her for her frequent presentations to lawyers, law students, clerks and others on bankruptcy law. We will miss our friend and colleague in the Kansas bankruptcy bar. Congratulations Judge Norton! Here is a list of where you can go in Topeka for free tax return preparation help. If you are a debtors in a bankruptcy case, take a copy of the 2012 tax returns, both federal and state, to your bankruptcy attorney. Refunds should not be spent unless the trustee approves. Talk to your attorney about the tax refunds and who gets what portions of the refunds. Spending tax refunds that are supposed to go to the bankruptcy trustee will get you into serious trouble. If your refunds get offset by the IRS or the state for taxes, child support, student loans or other government debt, you should get a letter explaining the offset. Take that letter to you bankruptcy attorney. We are still fighting to keep one year of the earned income tax credit exempt in Kansas. Two Kansas bankruptcy judges have ruled that the new statute is constitutional. Three chapter 7 trustees in Topeka and Wichita have appealed those rulings to higher courts. The appeals are pending. A ruling is expected soon from the Bankruptcy Appellate Panel for the Tenth Circuit U.S. Court of Appeals. Oral argument was December 6, 2012, in Denver. It will be a little easier for the debtor in bankruptcy when an adjustment in limits and formulas occurs on April 1. There will be modest increases in the chapter 13 debt limits, in means test formulas and federal exemptions when the once-every-three-year adjustments for inflation go into effect. These numbers are not an issue for most Kansas debtors. But a debtor on the margins of these limits and formulas may benefit from waiting to file bankruptcy after April 1. Your bankruptcy attorney can make sense of these complicated numbers for you. Erich Fabricius is predicting a 6.3% increase which is slightly less than the increase three years ago when the figures last changed. Closer to April 1, the government will announce the actual figures that will go into effect. 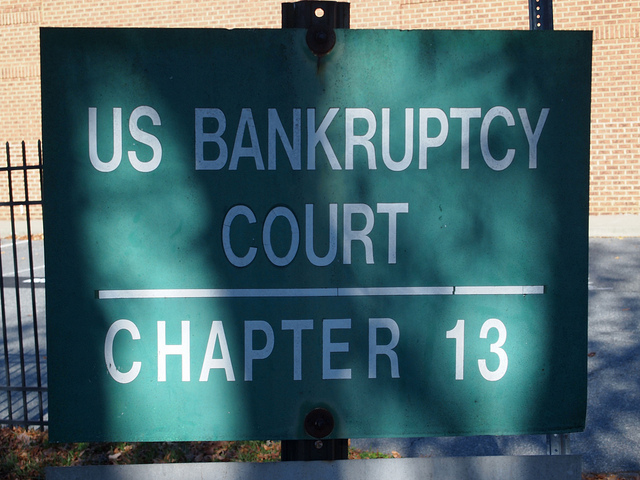 The unsecured debt limit for chapter 13 bankruptcy is estimated by Fabricius to be $383,175. The current limit is $360,475. A person with debts with no collateral in excess of the limit is ineligible for chapter 13 relief. The debt limitation for family farmers in Chapter 12 increases from $3,702,650 to $4,031,575. The homestead equity limit increases from $146,450 to $155,675 though many Kansans have higher homestead limits under state law. Federal exemptions increase but most Kansans do not use the federal exemptions. Abuse in chapter 7 for excess disposable income will be more difficult for the U.S. Trustee to prove with the new, higher limits on the means test. A trifecta of life changing events – illness, job loss or divorce – often starts an avalanche of financial problems that results in bankruptcy. Most of us are one serious illness or injury away from medical bills we can’t afford to pay, even when we are lucky enough to have good health insurance. When you can’t pay your medical bills, you may be sued. Â Once the creditor wins the lawsuit and gets a judgment against you, 25% of your pay and 100% of your bank balance can be seized in Kansas.Â Bankruptcy is a way toÂ stop the garnishments. InÂ Part FourÂ of this series we saw how low income to moderate income individuals had a much more difficult time affording health care and medical insurance.Â Part FiveÂ discusses options for negotiating the medical bills and applying for assistanceÂ with the providers and filing bankruptcy to get rid of the medical bills. Feedback is being sought on a suggested mandatory national form for chapter 13 bankruptcy plans. The Advisory Committee on Bankruptcy Rules has created a working group to study the proposal and is holding a conference on January 18, 2013, to discuss current drafts of a plan form and bankruptcy rule amendments to implement the form. January 18, 2013, 8:30 a.m. to 3 p.m.
Seventeen representatives of several groups affected by the plan form and rule amendments: servicers, debtors, trustees, judges, and clerks, have been invited to join the rules committee and participate in the conference. The meeting is open to public observers. The goal is to finalize a proposal for consideration by the Rules Committee at its April 2-3, 2013, meeting, according to Committee ChairmanEugene R. Wedoff, Bankruptcy Judge for the Northern District of Illinois and chair of the Advisory Committee on Bankruptcy Rules. The proposed form and rules changes also would have to be approved by the Committee on Rules of Practice and Procedure, the Judicial Conference, the Supreme Court, and then Congress. The plan and rules would be published for six months public comment in August 2013 and go into effect December 1, 2014, if approved at each stage of the rules making process. Form Plan Working Group: Hon. Eugene R. Wedoff, John Rao, Prof. Troy McKenzie, Prof. Elizabeth Gibson, Hon. Elizabeth Perris, Hon. Arthur Harris, Hon. Judith Wizmer and Ricardo Kilpatrick. Send your comments, accolades or criticisms, and suggestions to the Form Plan Working Group by email to Prof. Troy McKenzie and/or Judge Eugene Wedoff. Panelists: Glenn Stearns, Judge Rebecca B. Connelly, William E. Brewer, Jr., Mary Beth Ausbrooks, Kathy Huffman, Lawrence Friedman. Committee Liaison: John Rao. ï‚· Is the plan organized in a logical manner? ï‚· Is the length of the plan a concern? ï‚· Does the plan omit provisions that are necessary or frequently used? ï‚· Does the plan include provisions that are unnecessary or infrequently used? ï‚· Does the plan give sufficient guidance as to its operation after confirmation? ï‚· Does the plan appropriately emphasize areas that present key issues in the chapter 13 process? ï‚· Will the plan work in both mortgage conduit and nonâ€conduit jurisdictions? ï‚· Should the plan specify a different treatment of home mortgages and other secured claims if relief from the automatic stay is granted? ï‚· Does the plan appropriately treat the inclusion of nonâ€standard provisions? ï‚· Is it advisable to propose a form dealing with preâ€confirmation adequate protection payments? Is the proposed form suitable for this purpose? Panelists: Debra Miller, Judge Deborah J. Saltzman, Tara Twomey, Alane Beckett, Ramona Elliott. Committee Liaison: Judge Arthur Harris. ï‚· Draft Rule 3002(a) requires a secured creditor to file a proof of claim in order to have an allowed secured claim. Does this amendment present particular concerns? ï‚· Draft Rule 3002(c) changes the deadline for filing proofs of claim in chapter 13 cases to 60 days after the petition date so that proofs of claim are filed before the confirmation hearing date established by Code Â§ 1324(b). Is this amendment an improvement over the current rule? ï‚· Several interrelated rule amendments would provide that the validity, amount, and treatment of a claim under the plan will control over a proof of claim. Draft Rule 3012, together with draft Rule 3015(g), provide that the plan may make a binding determination of the amount of an allowed secured claim, as well as the amount of a claim entitled to priority treatment, subject to ultimate resolution at the confirmation hearing. Draft Rule 3007, in turn, provides an exception to the need to file a claim objection if claim allowance is resolved under Rule 3012. Similarly, draft Rule 4003(d) makes clear that a plan may provide for avoidance of liens under Code Â§ 522(f). And draft Rule 7001 makes clear that an adversary proceeding is not necessary to determine the validity, priority, or extent of a lien resolved through a plan. Do these amendments present particular concerns? ï‚· If any proposed amendment raises particular concerns, what alternative would you suggest, and how would the suggested alternative impact the draft plan? Panelists: Kevin Anderson, Judge William Brown, John Colwell, Andrew Altenburg, Michael Bates. Committee Liaison: Judge Elizabeth Perris. ï‚· Draft Rule 3015(c) requires the use of the official form plan in all chapter 13 cases. Draft Rule 9009 limits modification of official forms so designated, including the form chapter 13 plan. Are these amendments advisable? ï‚· Draft Rule 5009 provides that a debtor may obtain an order declaring that a lien has been satisfied, and that the order will be effective as a release of the lien. This provision is intended to facilitate documentation for title purposes. Does this amendment present concerns with respect to the timing of the order? Are there other concerns raised by this amendment? ï‚· Several draft rule amendments concern service and notice in chapter 13 cases. Draft Rule 3015(d) is intended to ensure that creditors receive a copy of the plan before confirmation. Draft Rule 3015(f) provides that objections to confirmation must be filed and served sevenâ€days prior to the confirmation hearing. Draft Rule 3015(h) deals with notice of a modification of the plan after confirmation. Do these provisions adequately provide for notice to interested parties? ï‚· Some of the draft amendments require enhanced service. Draft Rule 3012 provides that a request to determine the amount of secured and priority claims under a plan must be served in accordance with Rule 7004â€™s requirements for adversary proceedings. Draft Rule 4003(d), which concerns a plan proposing lien avoidance under Code Â§ 522(f), and draft Rule 5009 also require service in accordance with Rule 7004. Are these enhanced service provisions appropriate? ï‚· Because draft Rule 3015(f) sets a sevenâ€day default deadline for objections to plan confirmation, current Rule 2002(b)(2) would effectively require that notice of the confirmation hearing be given at least 35 days before the hearing. Should the Rules Committee consider amending Rule 2002(b)(2) to provide either for 21 daysâ€™ notice of the deadline to file objections to confirmation or 35 daysâ€™ notice of the confirmation hearing? 2:15 â€ 3:00 Open forum to raise and discuss issues not previously addressed or fully covered, including the value of a national form for chapter 13 plans. NACTT Academy webinar and presentation. Hon.Eugene R. Wedoff, Bankruptcy Judge for the Northern District of Illinois and chair of the Advisory Committee on Bankruptcy Rules, and Chapter 13 Trustees Henry E. Hildebrand III (Nashville) and John P. Gustafson (Toledo) discuss ups, downs and questions regarding the proposed form on a December 19, 2012. Bankruptcy Rules Suggestions working group created to study proposed national chapter 13 form plan. Chapter 13 National Plan Form and Rules Amendments: Speak Now or Forever Hold your Peace. Ring out the old bills and your financial troubles once and for all by filing bankruptcy in the New Year. Â It’s time to leave your worries behind and get the fresh start you deserve. Â We understand. We can help. Are you drowning in debt?Â Were you recently laid off? Facing unexpected medical bills? Or even worse, did a recent divorce put a strain on your financial life? Have your debts snowballed?Â Have your credit cards raised your interest rate to 30%? Doubled your monthly payments? Are you about to lose your home in foreclosure? Is your paycheck being garnished? Is your car being repossessed? AtÂ Bankruptcy Law Office, our attorneys,Â Mark Neis and Jill Michaux, understand that life can be stressful at times and we all go through hard times every so often. We understand that when you are dealing with financial hardship, it may not be your fault. Mark and Jill are Topekaâ€™s consumerÂ bankruptcy specialistsÂ ready to help you get back on your feet with a fresh start. Peace of mind, sleep better, answer your phone again, stop looking over your shoulder, lift that heavy burden off your back, feel better about yourself, stop borrowing from friends and family and your retirement fund. Our attorneys continue to fight for Kansas debtors to keep one year of federal and state earned income tax credits (EITC) exempt Â from bankruptcy trustees and creditors. WeÂ traveled to DenverÂ for oral argument Â before theÂ Bankruptcy Appellate PanelÂ of the 10th Circuit.Â Bruce Barry of Manhattan argued in favor of the law for his clients, Dustin and Brandi Westby. The Kansas Legislature adopted a new exemption for EITC in bankruptcy cases. Â The law went into effect April 14, 2011. Chapter 7 bankruptcy trustees in Topeka and Wichita have challenged the law, and the debtors’ right to retain one year of EITC in their bankruptcy cases, since. payment of child support or spousal maintenance. and after its publication in the Kansas register. The bankruptcy judges in both divisions ruled against the trustees. Â Three trustees have appealed to higher courts. The Kansas Attorney GeneralÂ also is defending the constitutionality of the EITC exemption statute. Here is the motion and proposed briefÂ Jill Michaux filed last weekÂ in the Hudson appeal to theÂ Kansas District CourtÂ for permission to file a friend of the court brief in support of debtors by the National Association of Consumer Bankruptcy Attorneys (NACBA).Â Thanks go to Tara Twomey and Lisa Sharon of the National Consumer Bankruptcy Rights CenterÂ for writing the brief. Update: Debt limits changed April 1, 2013. Thanks to my friend, Gene Melchionne atÂ Consumer Bankruptcy TipsÂ for posting this video by a musician who filed bankruptcy through a New York bankruptcy attorney he knows. Â “It says it all,” as Gene says. Here is the redlined version of the proposed changes to the local Kansas bankruptcy rules about formatting mailing matrices and the taxation and payment of costs. Comments on the proposed rules should be submitted to the Kansas bankruptcy court clerk by December 17, 2012. (2) an amendment to a case (all chapters) is filed containing additionalÂ creditors. This matrix must list only those creditors added. (c) Original. A matrix must be an original printed document on standard bond paperÂ that is free of headers, footers, titles, lines, marks, or smudges.